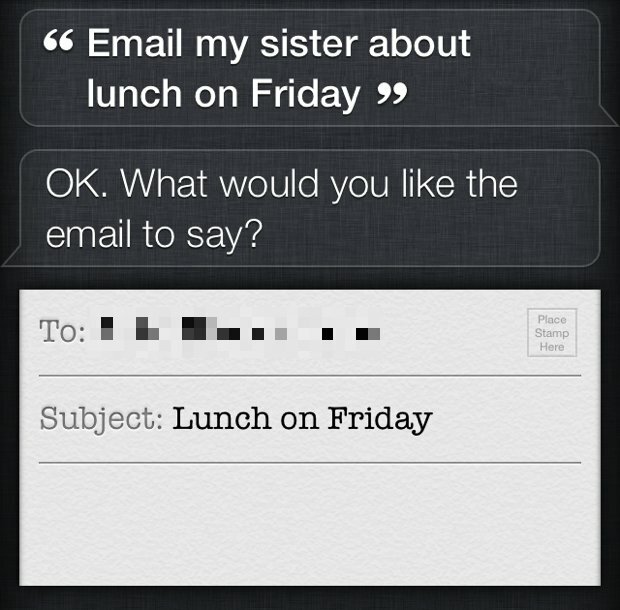 Defining important relationships to some of your contacts is a great way to improve Siri’s comprehension, and also to expand the personal assistants general usefulness. Take the time to set some relationships, because other than making things more practical, it allows you to greatly simplify many commands by letting you skip names entirely and just use natural relationship dialog when interacting with Siri. How many of us would naturally say your mother or fathers full name when discussing them in some context? Most just say “mom” or “dad”, and that’s exactly the type of natural language that works with Siri once a contact relationship has been set. 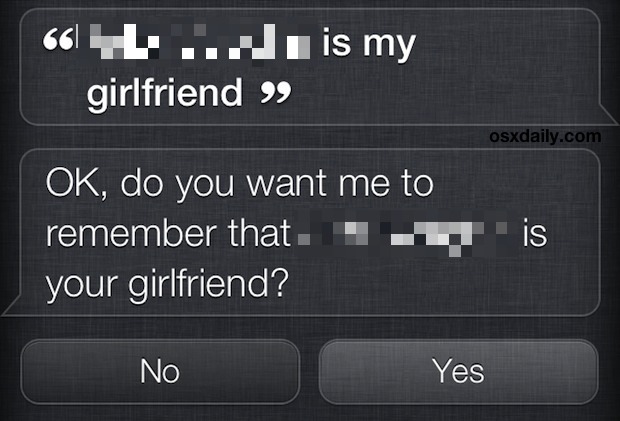 Siri will then ask for you to confirm the relationship with that contact. These relationships are set on both that persons contact listing, and in your own contact to show the relationship. If you want to later edit them, you can either use Siri to change a relationship like “So-and-so is now my ex-wife”, or edit them manually within the Contacts app. Siri will repeat back to you the relationship and include persons name where it makes sense to, helping you to be sure the interaction is with the proper person. Defining and using relationships can also be a huge improvement to Siri for names that are consistently hard for it to understand or hard for you to pronounce, even after defining phonetic pronunciation for individuals in your address book. The other side of this is that increased comprehension makes Siri smarter, or at least appear smarter, as the assistant is now able to draw conclusions about who is who in your address book. Those kind of relationships will probably matter more and more as Siri develops new features with each revision of iOS, and soon we will likely have the ability to target contacts by relationship groups that Siri is able to derive itself, like family, friends, coworkers, etc, without having to set those groups manually. That type of comprehension may not be in place quite yet, but considering the rapid developments in AI and natural language understanding, it’s bound to be coming down the road, so get a head start and set those relationships to contacts now, it’s useful now and will only become more so. Strangely, I have found that Siri is confused about my offspring. So it appears to be able to translate that my daughter is my child but later on does not know who my daughter is. Sounds like a bug, maybe you can manually edit the relationships by adjusting yourself and her contact? I use this feature all the time without problem, I like it a lot. Hey, wait a minute, Kate Upton is actually my girlfriend! I just haven’t told her, or my wife, yet. I link to my outlook contacts for work. How do I get this to work?